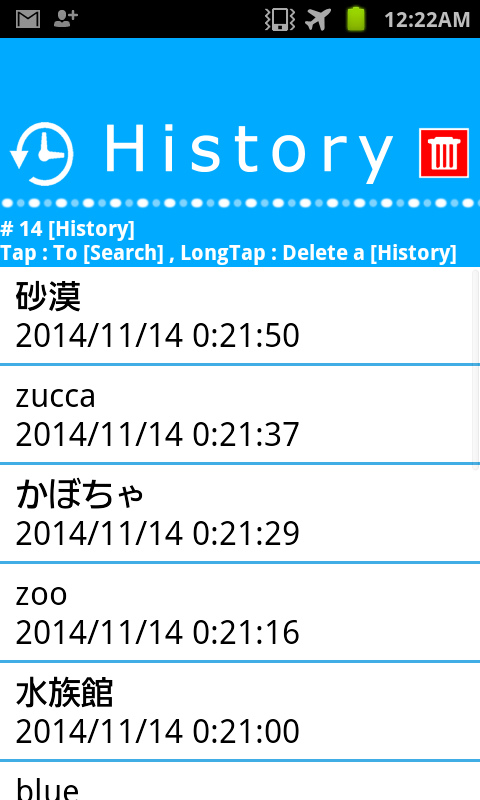 This is free Italian Japanese English word dictionary. Recording words are total 45,285. You can also be used off-line. 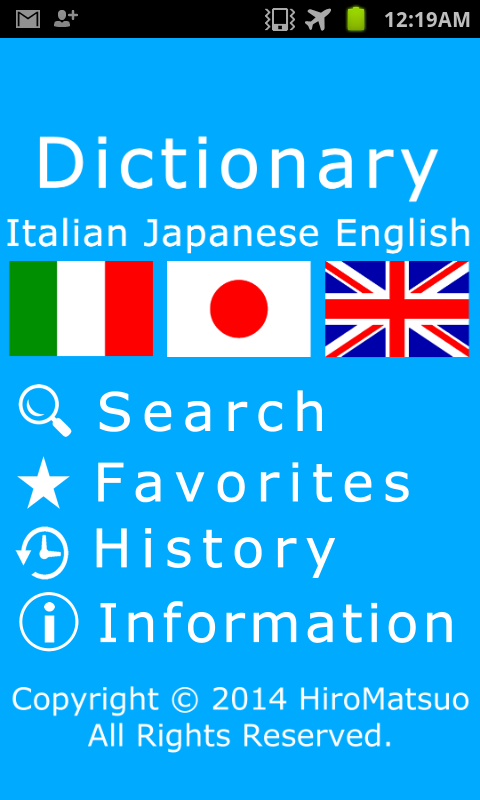 Italian Japanese English word dictionary has following three functions. 1.Search words in word dictionary. 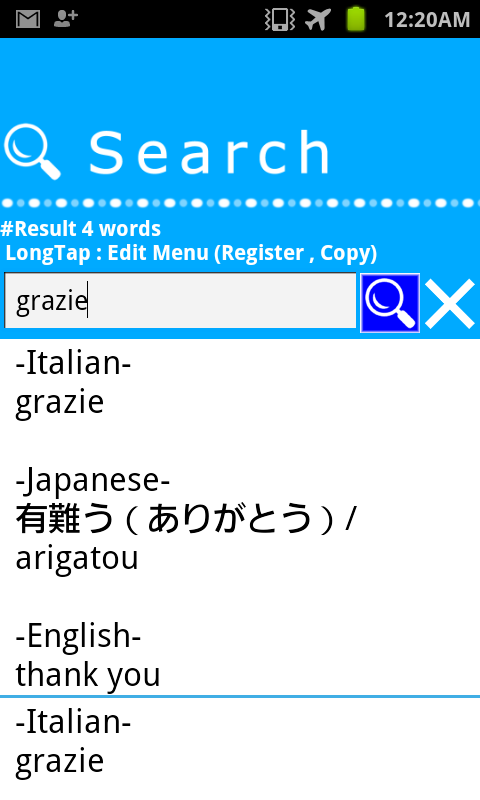 Italian Japanese English word dictionary Supports from AndroidOS2.3.3 to AndroidOS4.4. And supports from Low resolution(hdpi) to High resolution(xxhdpi).